Diamonds come in all shapes, sizes and even colors. 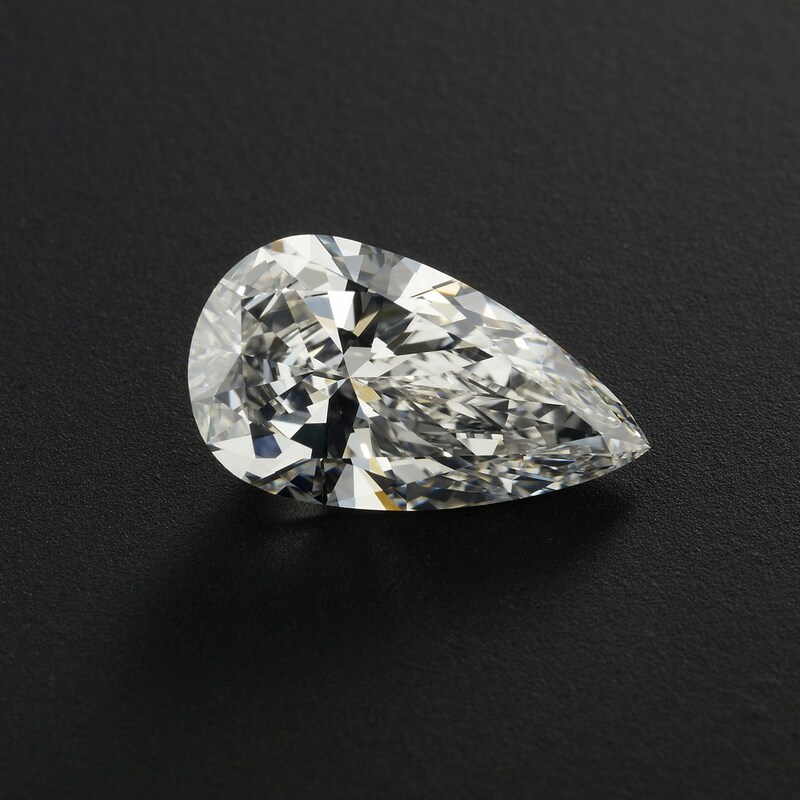 There are vintage shapes that have been around for hundreds of years, modern fancy cuts with intricate facets, and the classic shapes like round brilliant and princess. So when you’re ready to pop the question, how do you pick a diamond? Personal style, budget and the 4Cs should guide diamond selection. 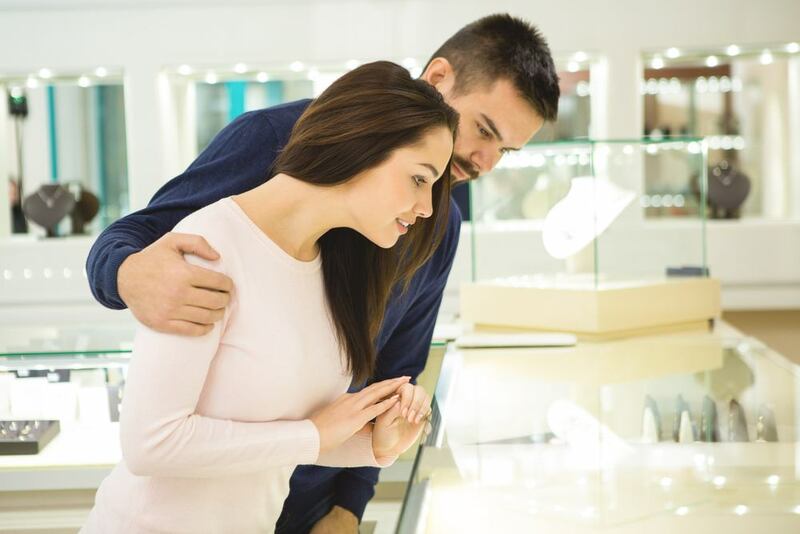 Buying the right diamond means selecting the best quality stone in a shape and style that reflects personality and preference while staying within the ideal budget. Buyers should have their budget determined before shopping. 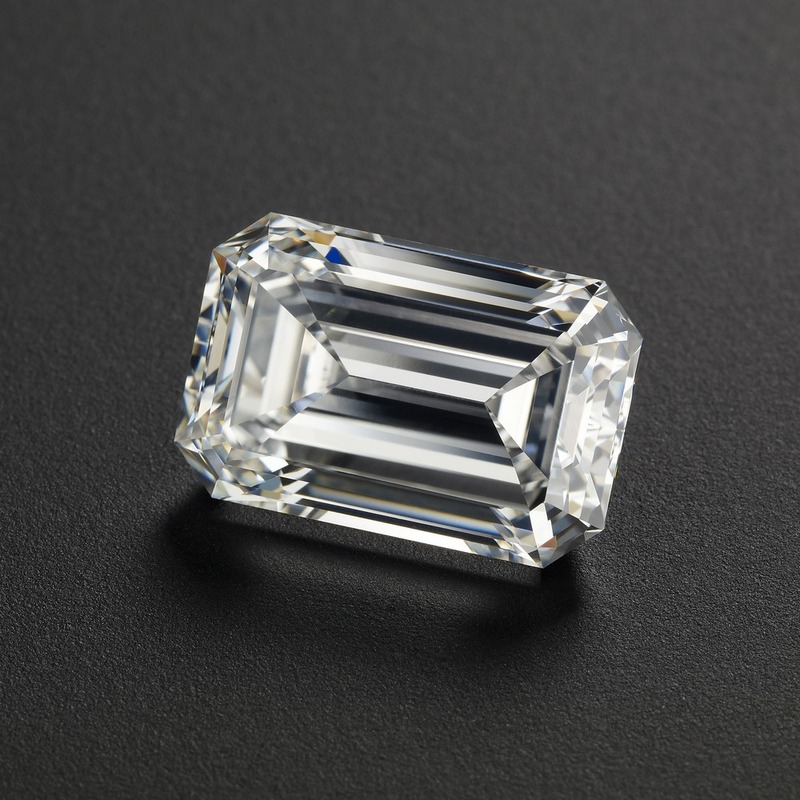 Knowing your budget is the most important factor because that flawless five-carat Asscher cut may be the diamond you really want, but the price point may say otherwise. Don’t ever push the budget beyond your personal comfort zone. While financing is always available to make a purchase less intimidating, those monthly payments must be manageable, and they shouldn’t top your car payment or mortgage. Once you’ve figured out how much you want to spend, picking a diamond becomes a fun treasure hunt. Check out these diamond shape guides to help you take the next steps in the hunt for sparkling perfection! Round brilliant and princess shapes are the most popular shapes for diamonds. The perfect circle of the round brilliant is cut in a way that allows the diamond to reflect the most light to elicit that ideal sparkle. 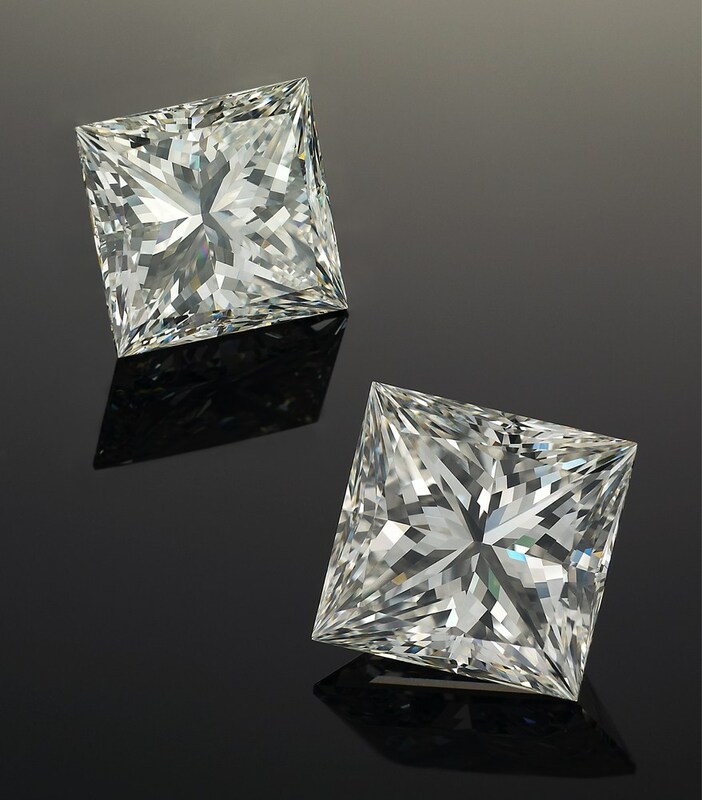 Princess cuts are square in shape but also cut to reflect optimum brilliance and fire. Clarity. These particular shapes disguise internal flaws better than other diamond shapes. Perfect IF (or internally flawless) clarities are not necessary for round and princess cuts. Opt for VS1 or VS2 (which stands for Very Slightly Included) if you need to downgrade on clarity. Avoid “I” grade stones, which have inclusions that may be seen with the naked eye. Color. Lower color grades are less noticeable on round or princess shapes and may be masked when set within yellow gold. If the budget allows, however, aim for mid-range color grades (G or H). Cut. Pay attention to dimension and depth measurements. The best feature of these shapes is their brilliance. If the cut is too deep or too shallow, the light won’t reflect as well. Carat. Round and princess cuts look beautiful in all carat sizes. Understand that while the difference between a three-quarter carat and a full-carat is quite minimal, the price point between the two is quite substantial. Fancy shapes are whimsical and fun. However, when shopping for shapes like the heart, oval and radiant, minding the 4Cs is crucial. The perfection of the cut is pertinent to choosing the best stone. Clarity. Keep the clarity as clean as possible. Stay away from heavily flawed stones. Color. Slight yellow colors also may be masked in yellow gold settings. For light metal settings such as white gold or platinum, opt for whiter color grades. Cut. The dimensions of the cut matter for all fancy shapes. If cut too long, the shapes look too thin. When the width overwhelms the length, the shapes distort. Proportion is everything! Carat. Fine details of the shapes are lost when carat weight is too small. Opt for at least half a carat. Clarity. Most vintage cuts have large facets that make internal flaws very visible. For this reason, buyers should go as close to perfect as possible. Stay away from clarity grades lower than VS2. Color also becomes more obvious in these clear cut stones. Tinges of yellow will be much more obvious, no matter which color metal surrounds them. Opt for high color grades to keep diamonds as white as possible. Cut. These diamonds show flaws and colors easily, so buyers should be mindful of the cut proportions. Opt for Good or higher in polish and symmetry. Carat. Sacrifice heavy carats to keep the other areas close to ideal and within your price range. Good luck on choosing your ideal stone. Finding the perfect diamond will be the most exciting treasure hunt of your lifetime. Have fun uncovering your ideal shape of Brilliance!